Thinking about growing some of your own vegatables or herbs but not sure how to start? 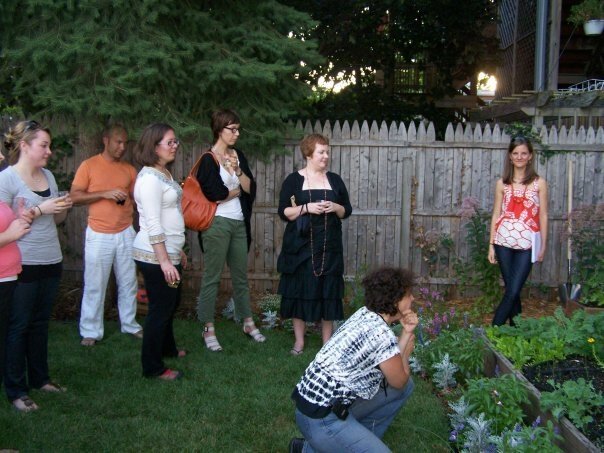 This Saturday, Appetite for Balance, a Chicago holistic nutrition group, and We Farm, is sponsoring the first a FREE Sunday in a series of Urban Gardening and Organic Nutrition classes. 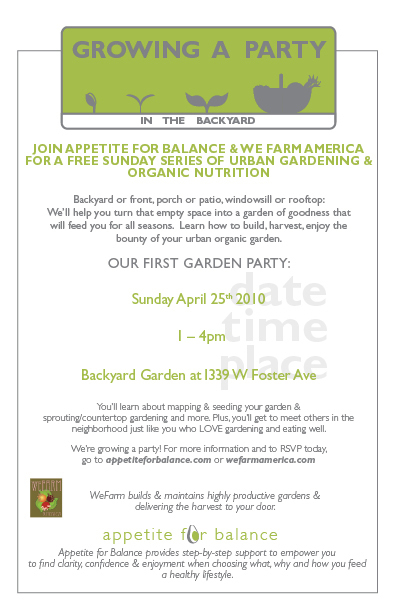 The First Party is on April 25th and they will be teaching about garden mapping, seeding and easy sprouting. Walk away with tools on how to do it yourself and why is is good for your health and your pocket book! RSVP here or here. All parties will be loaded with give-a-way(s), gardening tips, food demos, holistic nutrition, hands-on workshops, sustainable food/beverage, and FUN in the sun! So, grab a friend (or two) and join Appetite for Balance for a Sunday afternoon of digging and chewing! Check out the Appetite for Balance blog here.